This month I have been busy busy busy. You’ve already seen some of the fruit of my excess of creative energy. Well here’s some more! I’ve recently started getting a new magazine that’s come out (this is only issue 2!) I’ve tried their sister magazines before (‘Mollie Makes’; ‘Simply Knitting’ and ‘The Knitter’) as they often do deals at The Knit and Stitch show. I’ve always enjoyed the look of Mollie Makes but to be honest, I prefer Handmade Living as a general crafty magazine. However I really enjoyed the two knitting magazine. Saying that I don’t need another knitting magazine as I mostly sew and crochet for fun now. 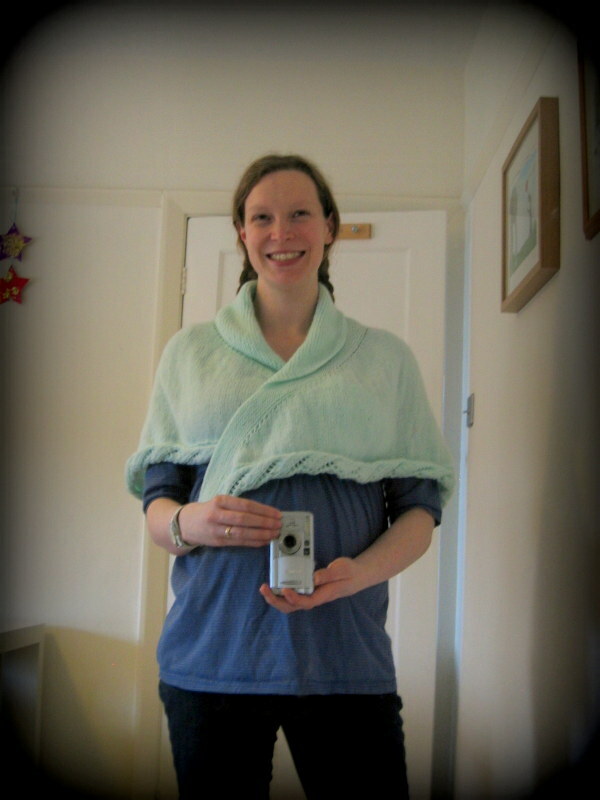 I if I knit it’s normally from a pattern that I already have and for a purpose (like to make a jumper for little man). 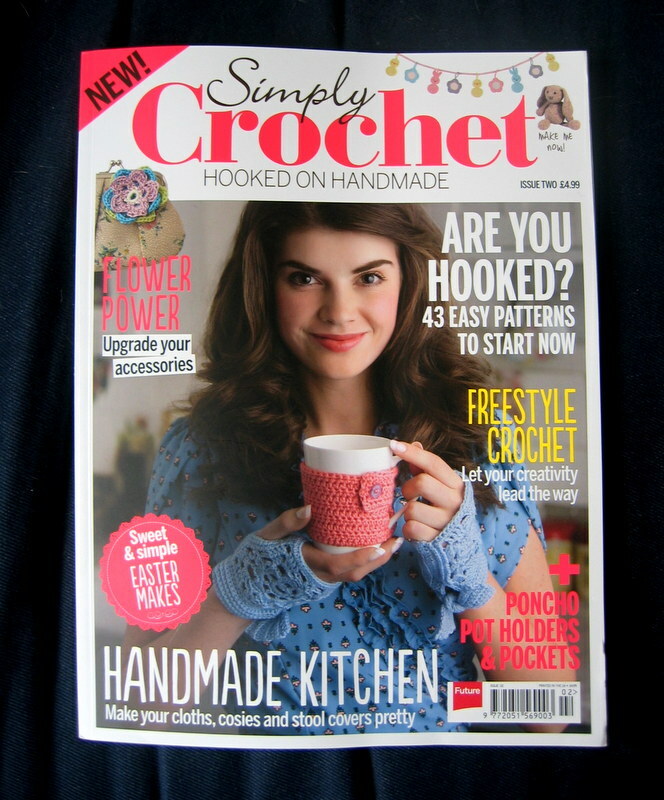 Anyway, when I saw that they were launching a new crochet magazine, I couldn’t help giving it a go! I have to say that it’s a great combination of the things I like about their other magazines. It has the look of Mollie Makes with the patterns and content that is more like their knitting magazines. Over all, I’m a very happy bunny! Oh and if you are interested, they are doing a trial period 3 issues for £5 (hee hee, am I tempting you yet? I’m a sucker for a bargain!). Why am I talking about this? Well because I have been crocheting my way through the magazine! Ok that is a little bit of an overstatement. The bunny I made was from this magazine. However I have been treating myself to a few bits before little miss makes an appearance and every waking moment (as well as every normal persons sleeping moment!). 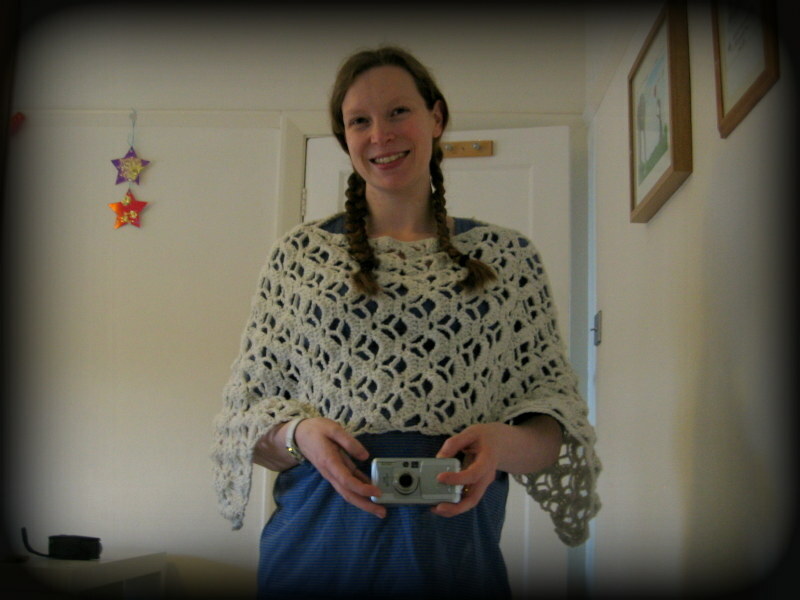 This is a lacy poncho by Joanne Scrace that was in this months Simply Crochet. It was the most lovely blue in the magazine, which I was tempted by, however I decided I’d rather do it in a neutral colour, as it will go with more of my clothes. I can’t wait until the weather gets a bit warmer and I can wear it out. It’s going to be lovely to throw over outfits. I think the lace pattern looks elegant. I have also knitted myself a couple of shawls. This one is just a ‘throw over your shoulders’ type of thing. It’s was fun knitting as I haven’t really tired knitting a lace pattern before. A large part of the pattern was in the form of a chart (something else I haven’t used before). I have to admit, I found it a challenge, but I like to be stretched and I’m really pleased about how this one turned out. This is the final shawl I’ve been knitting. Hubby bought me the wool for Christmas as I has been given this book earlier in the year and fancied making the shawl. I deliberately decided to knit the biggest size as I wanted it to wrap around. It’s perfect for wearing around the house. I think in the future I might knit another one in another colour as it is quite smart. I think a cream one would look lovely with a few of my smarter dresses. I will have to wait until little miss comes of course as I have no idea what will fit afterwards and what won’t! ps. lovely blog people, you are very lucky to see pictures of me. 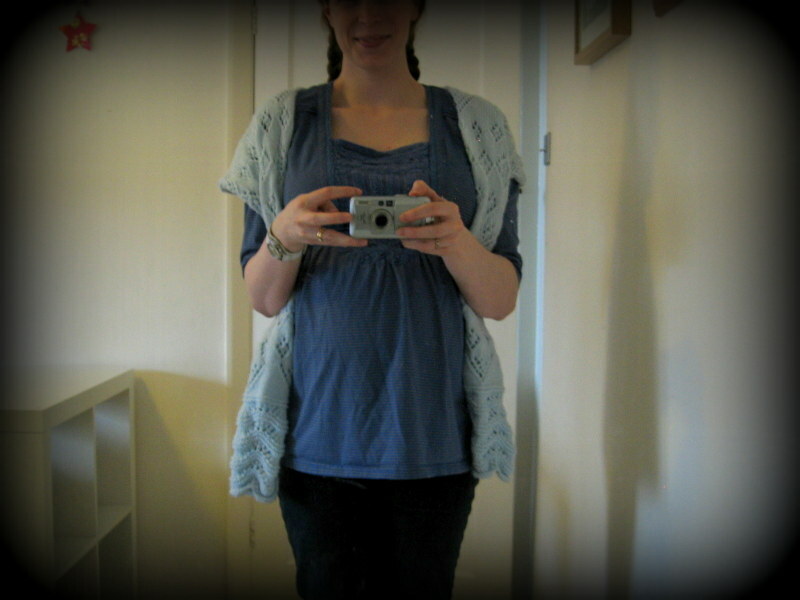 I really don’t like pictures of me, especially at 8months pregnant! I hope you appreciate the sacrifice for craft! Lol. I did think about trying to take pictures without me, but they really need to be worn to show and I don’t have another willing model!